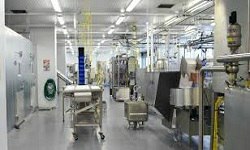 Food Processing Technology includes a set of physical, chemical or microbiological methods and techniques used to transmute raw ingredients into food and its transformation into other forms in food processing industry. Food processing and preparation activities cover three main fields: (1) the preservation of foods by (a) modern methods such as refrigeration, canning and irradiation, and (b) traditional methods such as drying, salting, smoking and fermentation; (2) the development of protein - rich foods; (3) food additives. Similar processes are used to produce animal feed. Fisheries, Animal Production and Health, Plant Production and Protection, were engaged in food technology activities in their respective fields of interest of Food Science. Food technology training in highly developed countries is often not adapted to the needs of developing countries. The Nutrition Division's interest was mainly, in their nutritional implications, in particular in reducing wastage of food, in preventing losses in nutritive value and in conserving or enhancing palatability.